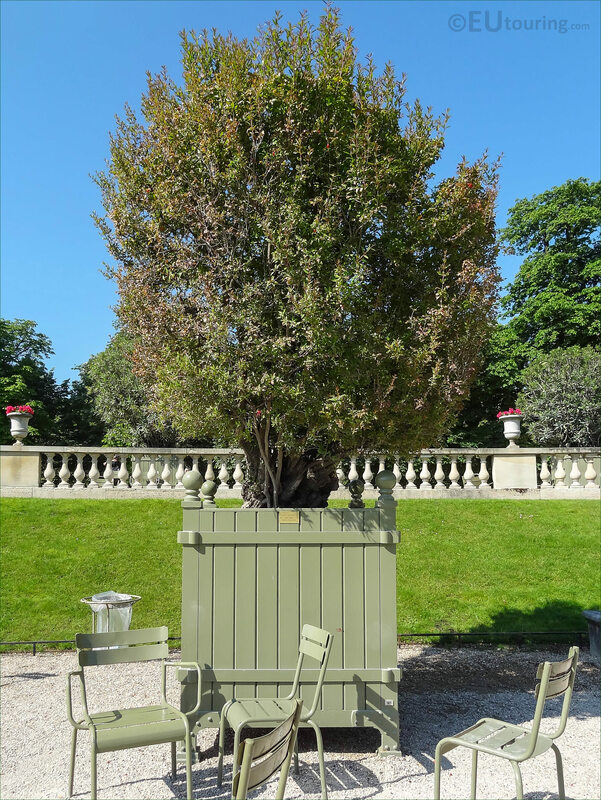 This first HD photo shows a Punica Granatum Flore Pleno located in a green crate, which is Pot Number 41, and these green crates are made of 4cm thick oak panels, and the plants themselves are brought out into the Luxembourg Gardens during the warmer months. 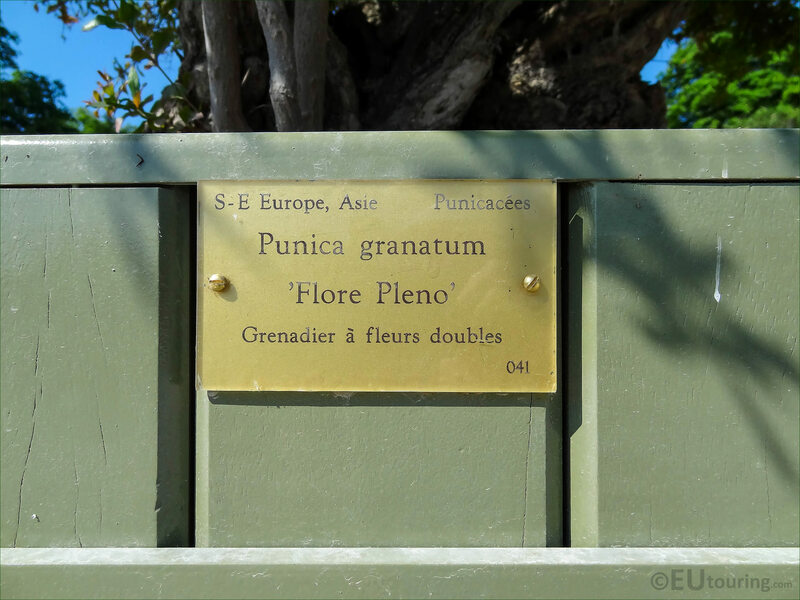 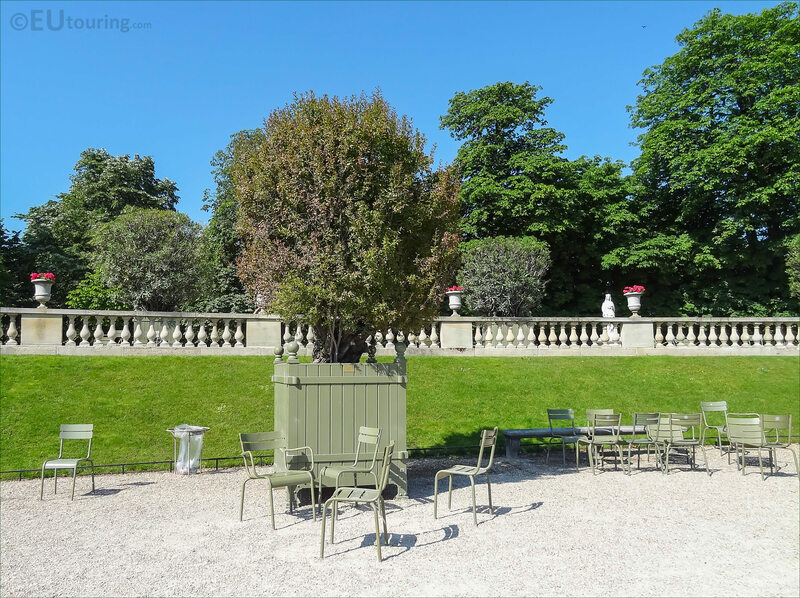 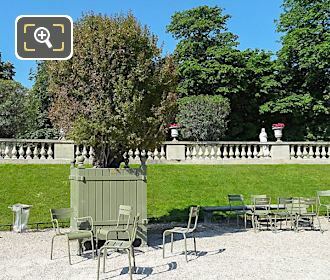 Now here you can see that this particular Punica Granatum Flore Pleno was placed in the central area of the Jardin du Luxembourg surrounded by chairs just below the western terrace with its balustrades and ornate plant pots full of flowers, yet during the winter and cold weather this small tree, along with the others are kept within the Orangerie, also located in the grounds of this garden. 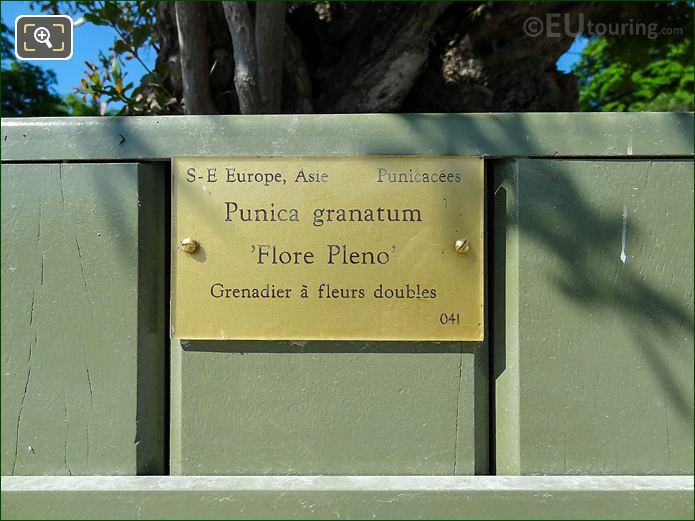 The Punica Granatum Flore Pleno is actually the scientific name for a type of Pomegranate Tree, which is sometimes referred to a shrub, as this particular type is more ornamental, plus having double flowers, it does not bear good fruit yields like some other types of Pomegranate, which is renowned in many cultures for its health giving properties. 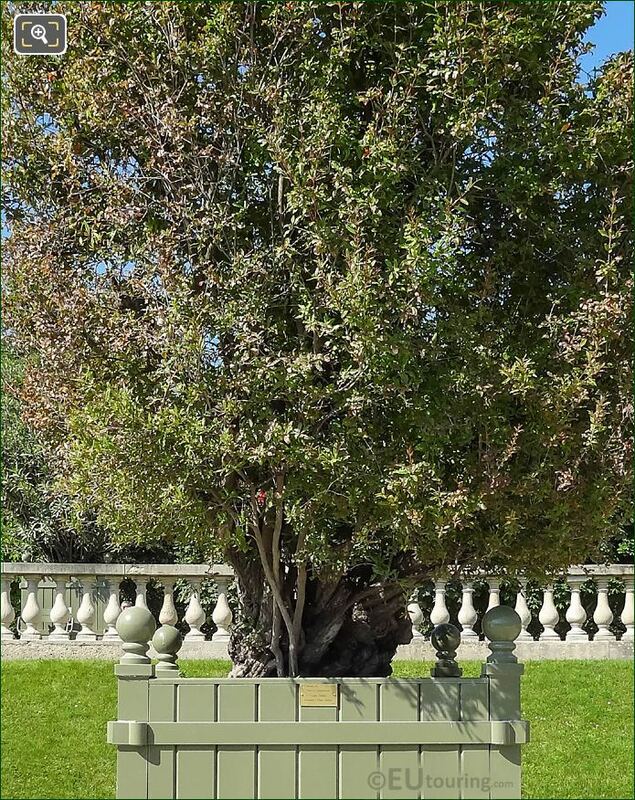 However, the photo below show the tourist information plaque attached to the wooden crate specifying pot number 41, and as you can see, it states the areas of the world that this particular Pomegranate tree is most commonly found, and in places such as Japan and China there are many legends that have been passed down through generations, including being classed as the tree of life, and a symbol of fertility.